A chicken ham pie from Thailand. Japan's McChoco Potato. Sombrero-shaped cheese nuggets in Serbia. And truffle-flavoured fries from Singapore. 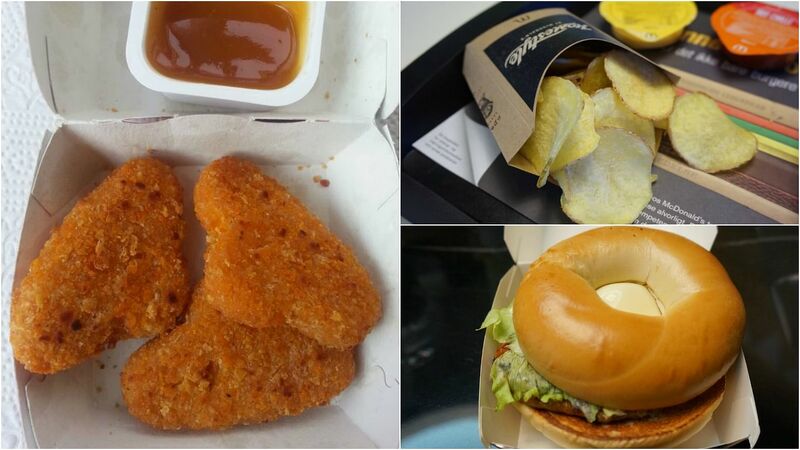 These are just some of the more unique items that McDonald's fan James McGowan has sampled from his visits to the fast food chain's outlets in 53 countries. The 28-year-old Canadian documents his travels and has so far penned more than 340 reviews since starting his blog, McDonald's Around the World, in October 2011. "I don't drink. I don't smoke. This is my vice," Mr McGowan, a software developer based in Bangkok, told The Wall Street Journal. "People expect to see a photo of a temple when you go to Thailand. They're not expecting the salmon rice at McDonald's." Singapore appears to be Mr McGowan's favourite reviewing spot, having previously lived in the country for three years. He has written 77 reviews of Singapore items - the most out of any country he has visited - which range from truffle-flavoured shaker fries and honeydew McFlurry to garlic onion drumlets and a fiery mala burger. 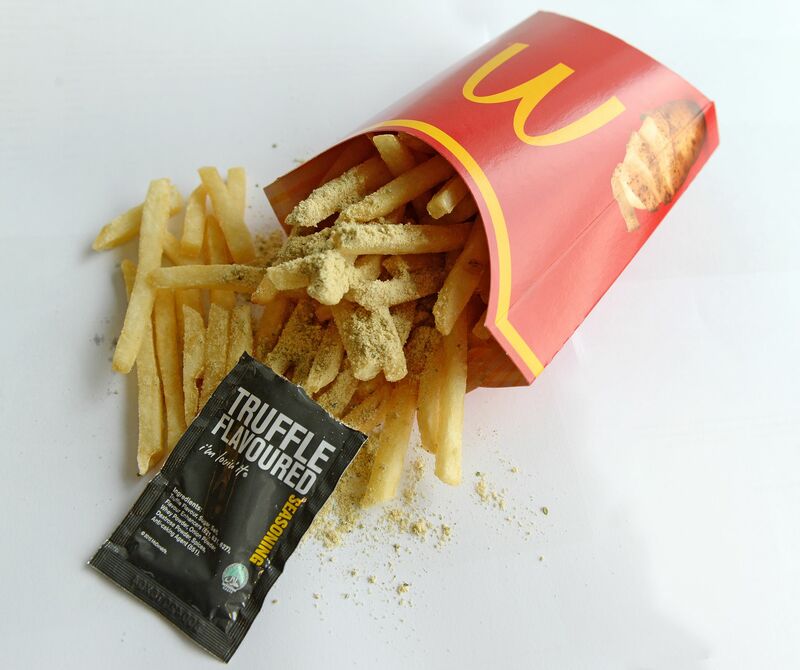 The truffle-flavoured shaker fries were given a thumbs-up by Mr McGowan, who rated them four out of five stars and compared the taste to a combination of sour cream and onion chips, along with seaweed. Some of the items which did not impress him included a lychee pie he tried at the Kuala Lumpur International Airport, which he gave zero stars as the lychee filling was "sickeningly sweet" and tasted of artificial fruit flavour. Another was the Hokkaido Burger sampled in Sapporo, Japan, featuring bacon, beef, cheese and mashed potatoes. It earned one star and was described by Mr McGowan as the "worst promo burger I've ever had in Japan". The Wall Street Journal reported that Mr McGowan mostly pays for his own travel and schedules long layovers so he can exit the airport and eat at a nearby McDonald's. Cleared immigration in Singapore solely to try the new McDonald's Pie & McFlurry which weren't being sold in the transit area. A spokesman for McDonald's did not want to comment on Mr McGowan's blog, but said: "We love that we have fans of McDonald's who enjoy our food while travelling the world." Mr McGowan has claimed that some two million people have visited his blog, with some even sending him unique McDonald's dishes from foreign countries to try. While acknowledging that he puts his health at risk from eating so much fast food, he says he stays healthy by preparing simple home-cooked meals, and walking, in favour of taking the bus and taxi. Are McChoco Potato chocolate fries a sweet saviour or a final gamble for McDonald's Japan? He is planning to visit countries like Mongolia, Oman, Qatar and Vietnam, and reckons that his McDonald's culinary obsession can go on for another 10 years. "Strangers say, if you're fortunate enough to go to all these countries, why do you waste it on McDonald's?" he said. "I like sharing online. People seem to enjoy it. And I don't gain weight."